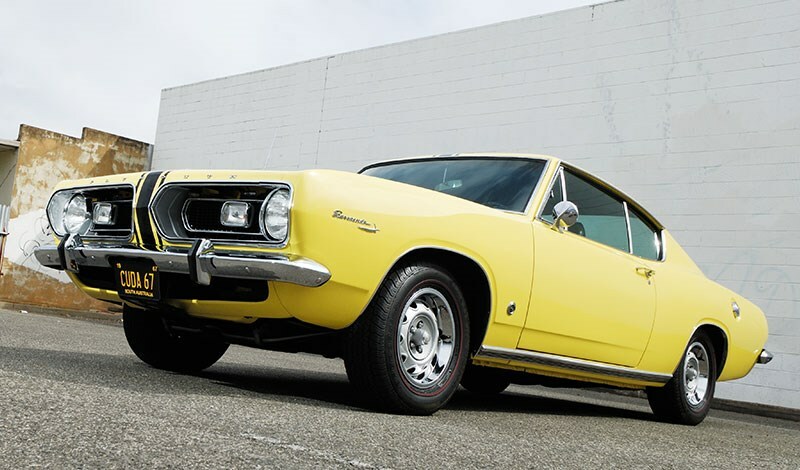 When Chrysler launched the Gen II Plymouth Barracuda in 1967 it finally had a serious contender in the ‘pony car’ category. 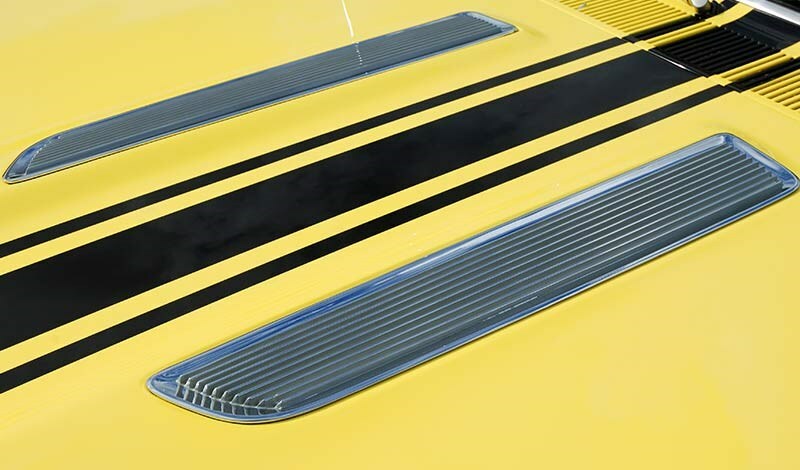 While Ford’s Mustang had always concealed its umble Falcon underpinnings beneath its sporty coupe sheetmetal, the Gen I Barracuda of 1964-66 had been pretty obviously a Valiant – except for its huge ‘glasshouse’ rear window and boot lid styling. 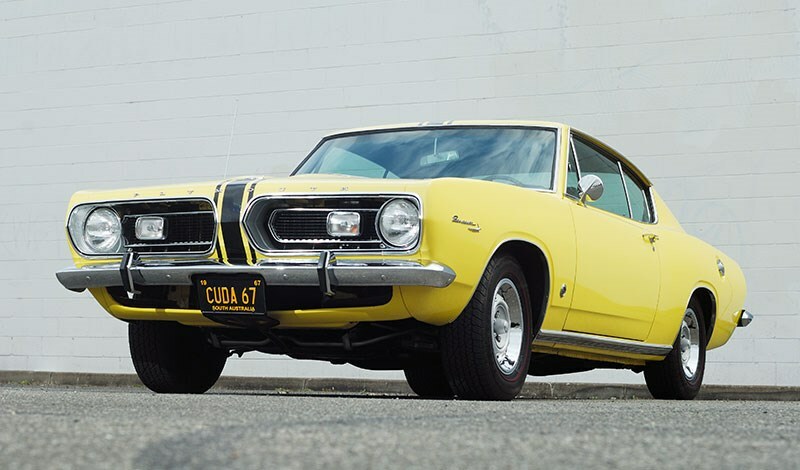 Although the new Gen II ’Cuda still shared the basic A-platform architecture and 2743mm wheelbase with the Valiant, the two cars looked quite different. 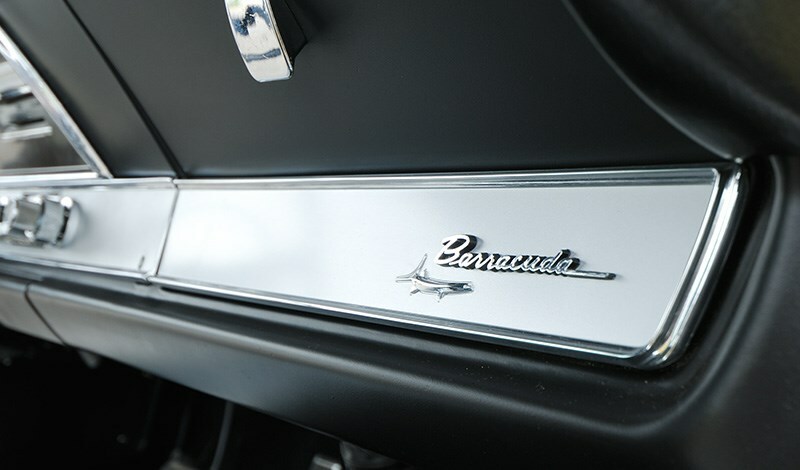 The new-look Barracuda won plaudits for Plymouth from industry experts for its distinctive and handsome good looks – clean flowing lines with lovely ‘coke-bottle’ curves. Mopar needed a really appealing ‘pony’ for market success in 1967. Not only was it up against the dominant Mustang, it also had to contend with the new ‘ponies on the block’ – Camaro, Cougar and Firebird. 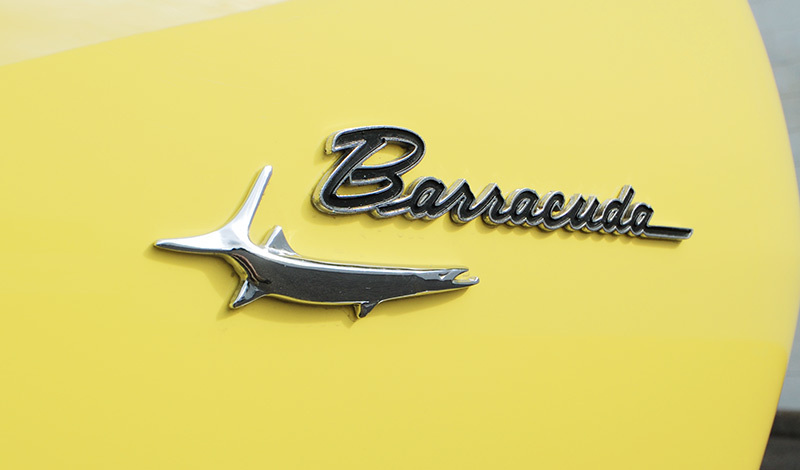 The Barracuda’s prospects were boosted with a new multi-model line-up – fastback, coupe and convertible. The restyled body was 51mm wider across the engine compartment, allowing the 280hp, big-block 383ci V8 to be added to the existing 225ci ‘Slant Six’, 180hp 273ci V8 and 235hp ‘Commando’ 273ci V8 engine choices, with 3- and 4-speed manual and 3-speed auto transmission options. 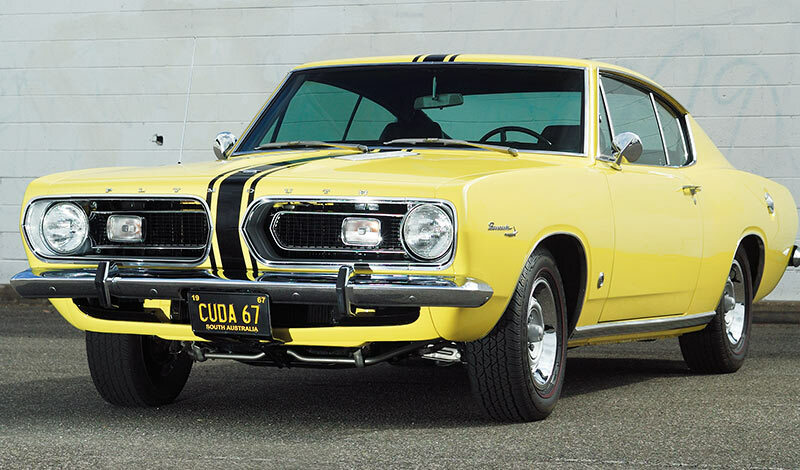 The effort that Plymouth put into the Gen II Barracuda wasn’t in vain. It was a hit with buyers, recording 60,000-plus sales in 1967. 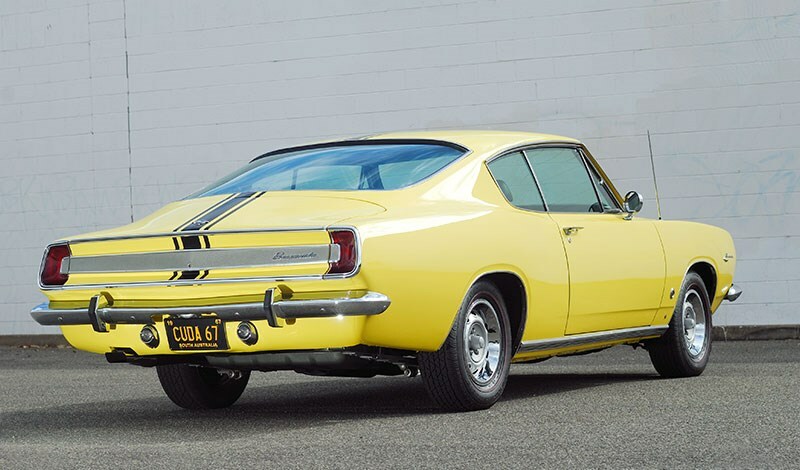 Dean Bastian’s lovely 1967 Plymouth Barracuda fastback featured in this article is a genuine Formula S model. The Formula S option was first offered with the 1965 model. It’s basically an uprated handling package only available with Commando and 383ci V8s. It includes heavier torsion bars and anti-roll bar up front and added leaves in the rear semi-elliptics, with uprated shocks all round. 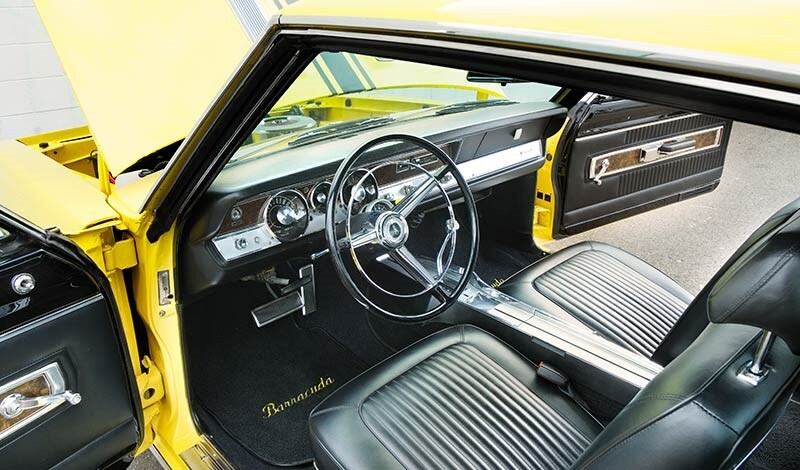 Already praised for its handling, the Barracuda’s cornering and high-speed stability were enhanced in Formula S form. On some models the package included wider wheels and tyres, high-flow air cleaner, performance exhaust and a tachometer replacing the standard vacuum gauge. The handling improvements were offset by some ride harshness in around town driving. For 1967 the package also included front disc brakes. 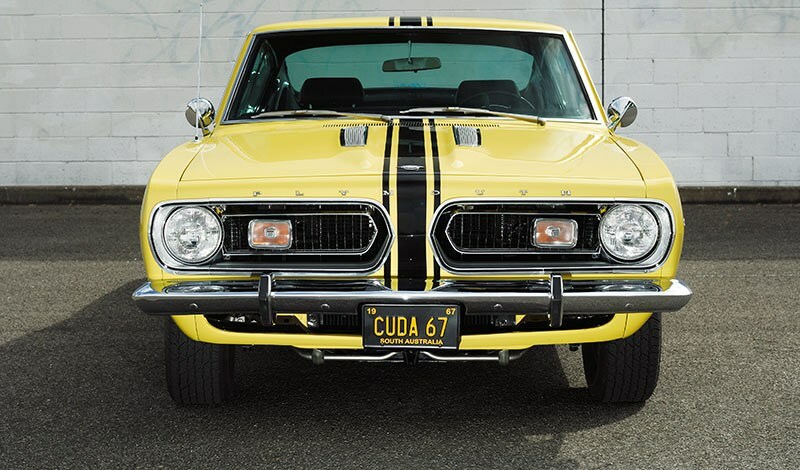 The ’Cuda ticked all the boxes for an affordable, sporty, four-seat two-door that provided all the comforts and competence of a compact American family car with the bonus of distinctive styling and a more satisfying driving experience. 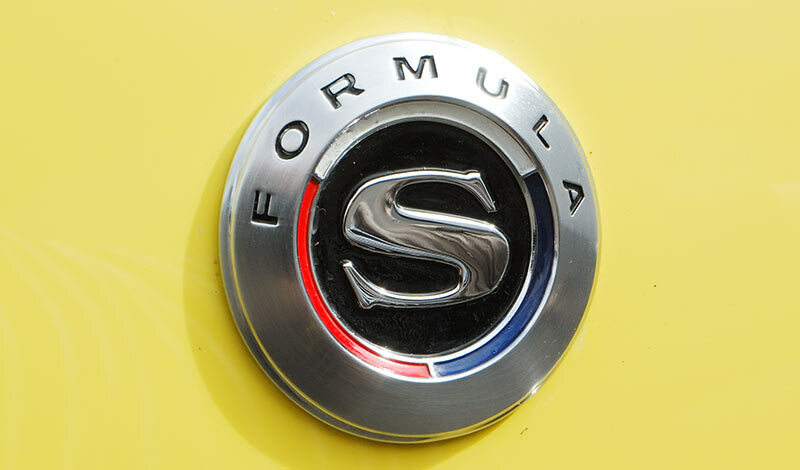 Formula S equipped cars added to driving enjoyment for performance-minded owners. Reviews praised its all-round responsiveness, obviously referring to the strong acceleration from its lusty V8s, the hot Commando 273 and the big 383. It also applied to the car’s reasonably nimble and predictable handling. There was some criticism of steering vagueness – put down to excessive power assist. This wasn’t the case with the 383 engine though. 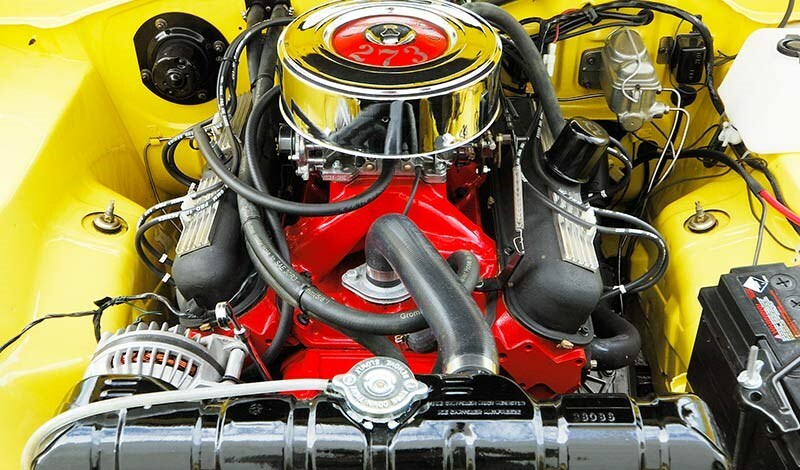 While there was just enough room to shoehorn the heavy big-block motor into the Barracuda, its exhaust manifolds left no room for a power-steering pump. The resulting heavy steering, particularly when parking, limited its market appeal. 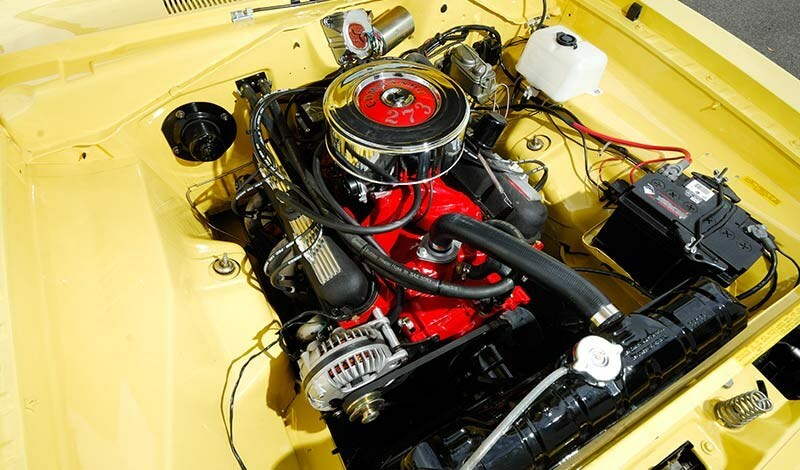 The combination of the 273 Commando engine and the legendary three-speed TorqueFlite transmission seems to have been the winning driveline set-up in 1967. It was an interesting engine that featured a bunch of up-specced components, including solid lifters that made it a surprisingly willing engine for a V8, revvy rather than lazy. 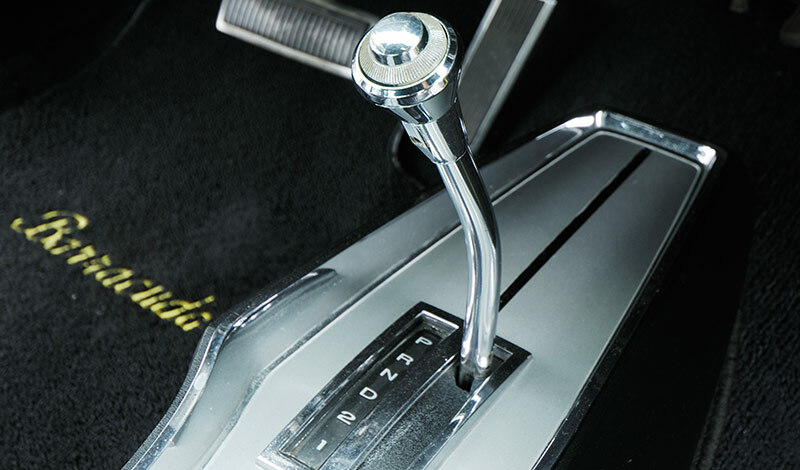 Where the Mustang’s 289 made peak power at a relaxed 4400rpm, the Commando did the business at an up-tempo 5200rpm. 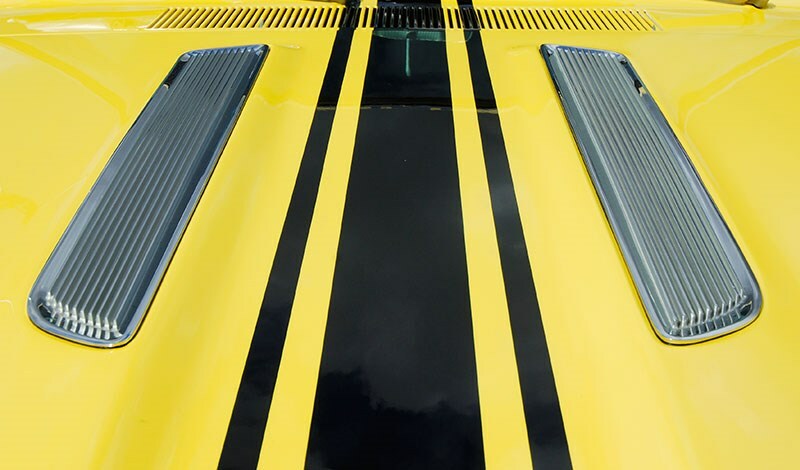 Surprisingly for a motor that liked to be revved, road tests at the time showed it to be a touch more economical than the 289-powered Mustangs and 327-powered Camaros. 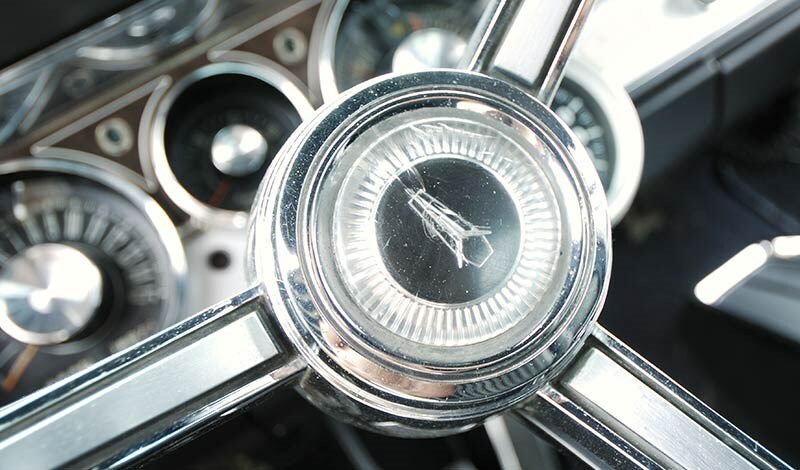 The TorqueFlite auto was widely praised for delivering similar performance and economy to the 4-speed manual, seemingly an ideal match for the motor’s character. 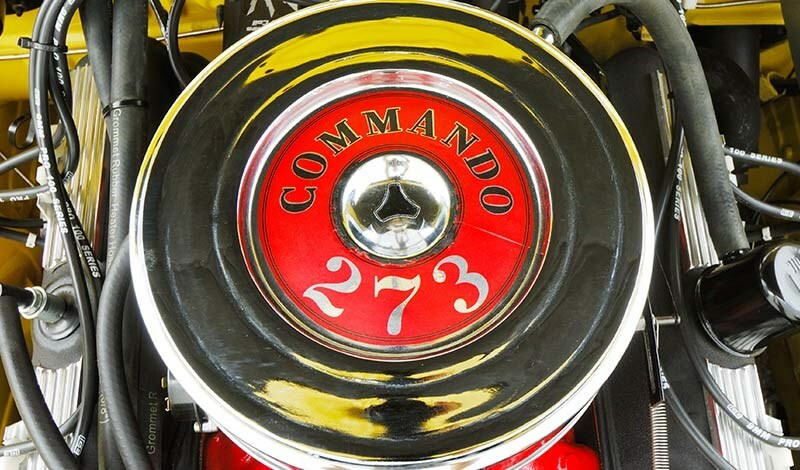 Another tick in the 273 Commando’s box was that the leaf-spring/live axle set-up coped well enough with its torque in a going-for-broke launch, whereas the big 383 could ‘tie the rear axle in knots’ when you tramped it in earnest, according to one review. Braking performance, even with the Formula S discs up front was seen to be adequate, but nothing to write home about. 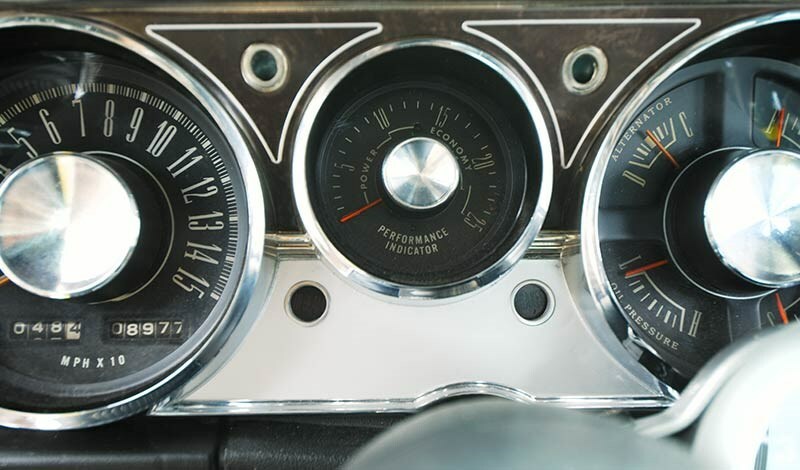 It’s interesting that while Dean’s car doesn’t have the optional tachometer, it has the optional 150mph speedo. Its quirky 0 to 15 calibration caught my eye. "Sorry officer, I thought I was only doing 12mph." 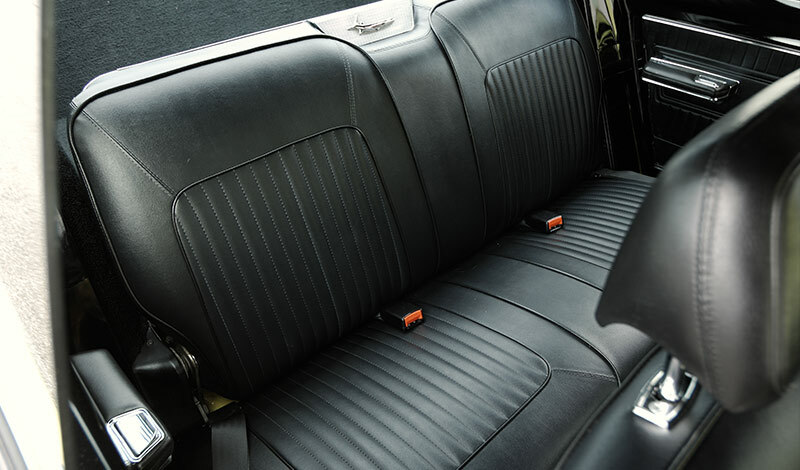 An interesting interior feature of the fastbacks is the station-wagon like luggage space they provide with the rear seats folded flat – convenience gained at the cost of some body rigidity due to the absence of body bracing behind the seats. 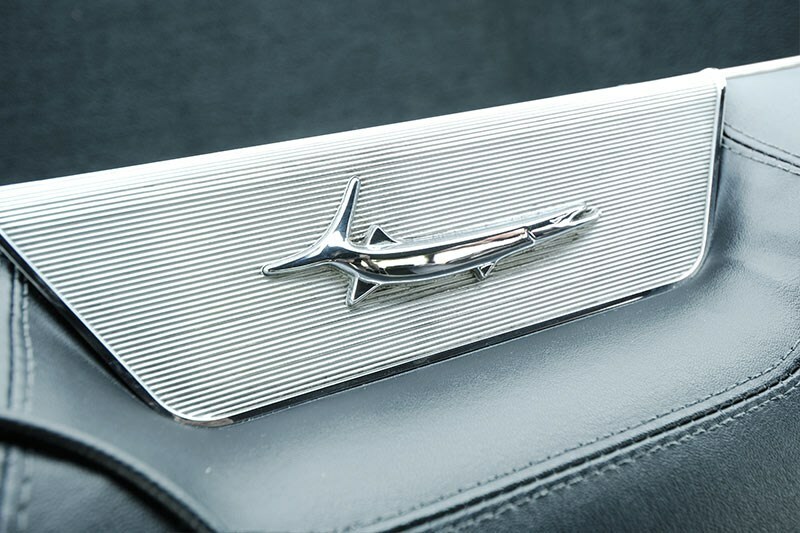 Reviews from the time seem to be unanimous in their praise of the Barracuda’s overall competence and performance. Lined up against similarly powered pony-car class competitors, it was at least their equal. 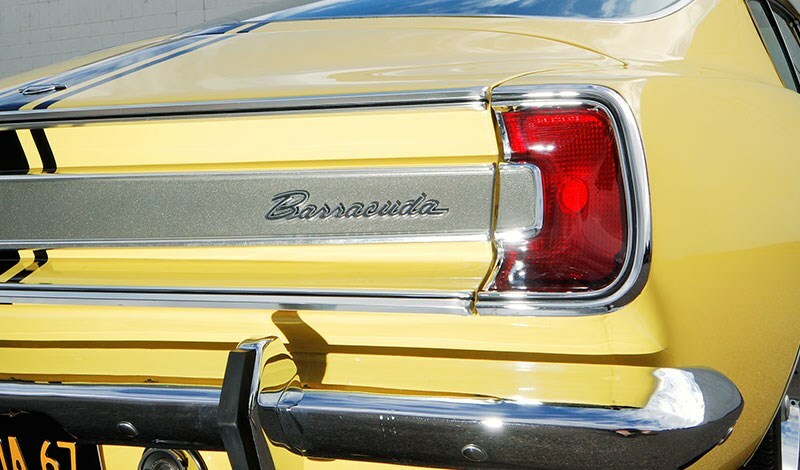 Adelaide electrician Dean Bastian talks about his lovely 1967 Barracuda Formula S fastback. "A friend of a friend found the Barracuda in Long Beach, California, and it was a genuine Formula S. The price was right so I bought it and it ultimately arrived here in 1997. "The plan at first was to give the car a quick respray and some general freshening up. In no time at all things got out of control and what actually happened was a 10-year, bare-shell, full rebuild. 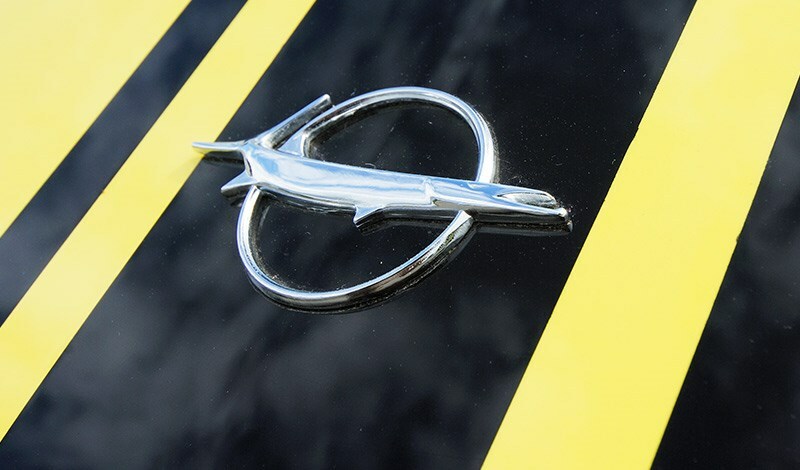 "Obviously the resto has transformed the car, not least because I decided to change the colour from its original Turbine Bronze to this period-correct yellow. 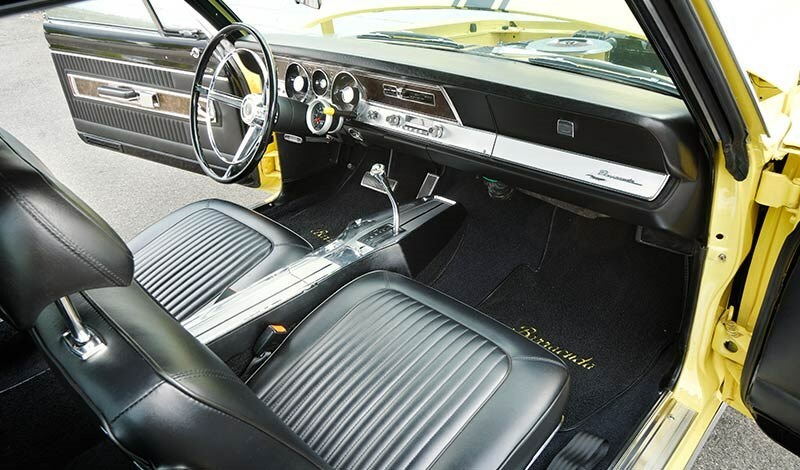 "For a genuine Mopar muscle car, it’s an easy car to enjoy because it’s easy to drive. It’s a car the whole family can enjoy. 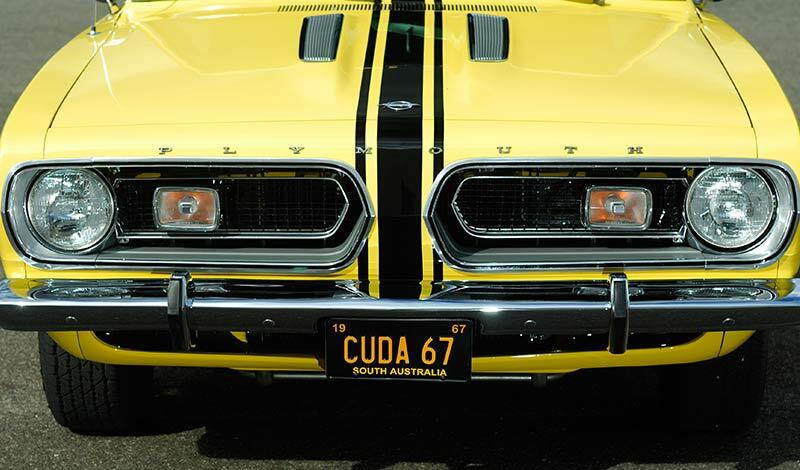 "I’m a member of the Classic and Muscle Car Club of South Australia. So the Barracuda isn’t lonely in the shed. It shares the space with a VH Regal Hardtop, a VH Regal sedan and a CM Regal wagon. 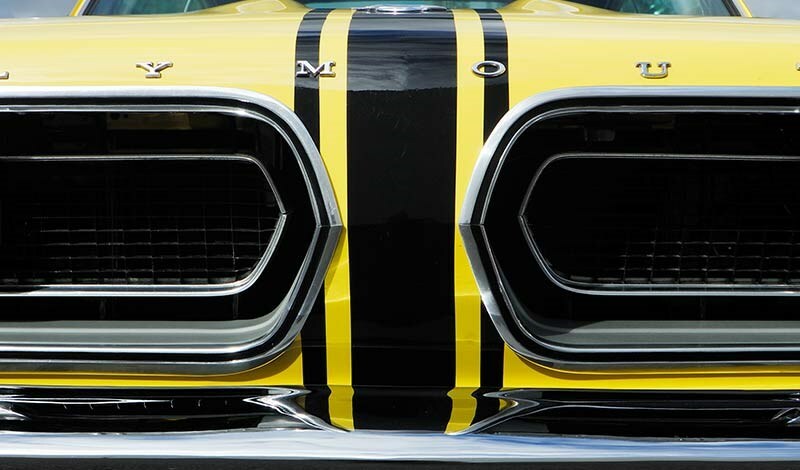 "I’ve always liked Mopar cars. I had a Charger as my daily driver for seven years. 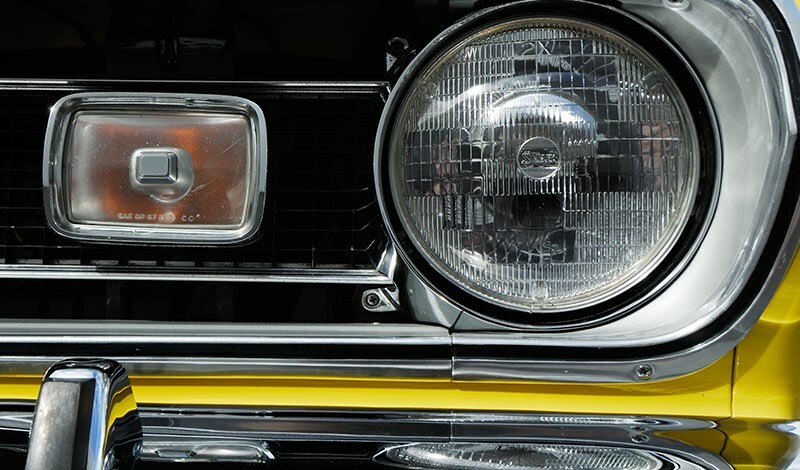 "Like a lot of Adelaide car enthusiasts I’m a bit of a fan of the Chrysler brand because of the company’s long manufacturing history in Adelaide. My place is only a few kays from the site of Chrysler’s Tonsley Park plant.